My flock consists of about 200 purebred White Dorper ewes and about a dozen purebred Kiko goats. I use exclusively purebred registered White Dorper rams from Lewis White Dorpers to breed my ewes. All my sheep are commercial sheep that thrive on pasture without any grain ever. They are not registered, they are meant to make a profit for the farmer and are not meant for the show ring. My sheep are hoof rot free. They are used to electric fencing and herding dogs as well as guard dogs. Click on the images to view in larger format. 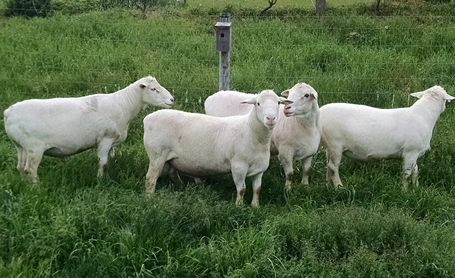 Purebred White Dorper (WD) ewe lambs: $300 each*. My purebred WD ewe lambs will shed and will breed out of season or will have a very long breeding season. Shedding is guaranteed. 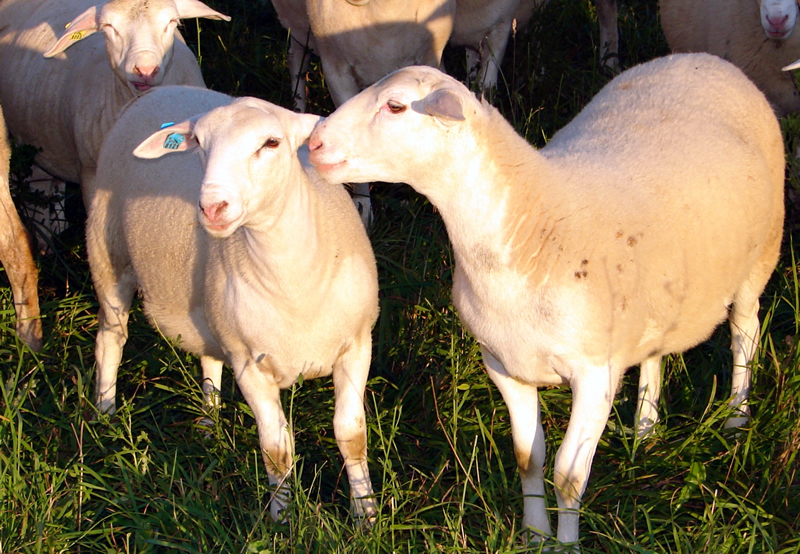 More than 80% of all ewe lambs sold will be twin- and triplet-born. Almost all of their mothers are twin-born or triplet-born themselves, the exception being ewes that were born to a ewe less than one year at breeding and lambing for the first time. 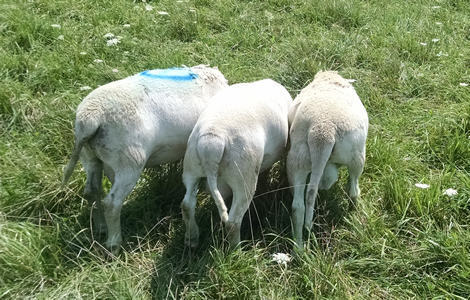 Ewe lambs born in the spring can be exposed to the ram at age 7 to 10 months. If managed properly, most of them will breed at that time. *Picked up at the farm, price does not include health certificate needed for out-of-state sales. 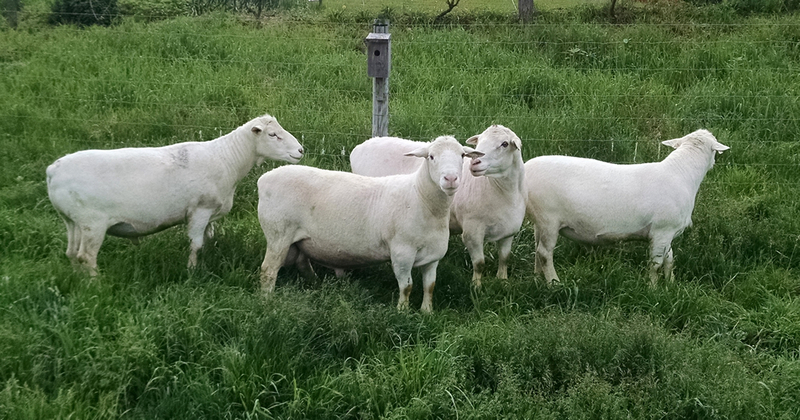 I sell purebred White Dorper ram lambs, all sired by registered rams from Lewis White Dorper. These rams are full shedders. I select the top twenty percent of all born ram lambs for breeding purpose. Further selection takes place as these ram lambs grow up. 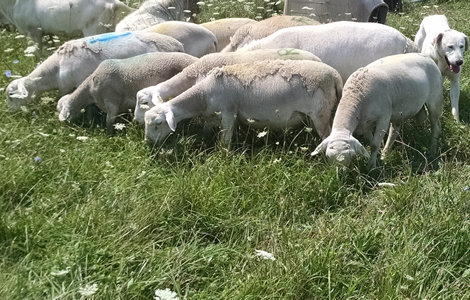 Any ram lamb that doesn’t meet the high standard will be culled and will become a market lamb. Usually, only twin-born rams are selected with the occasional exception being a single-born ram lamb out of a twin-born ewe that lambs for the very first time. 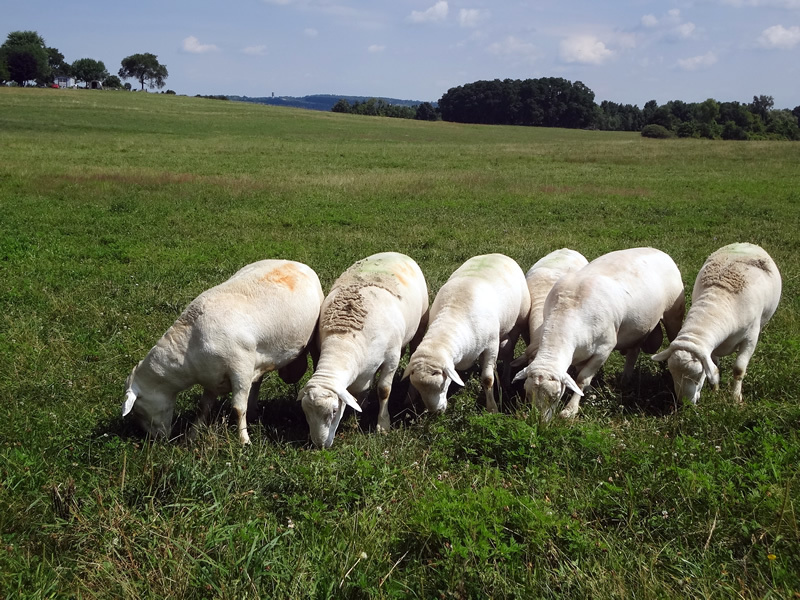 If you also purchase ewe lambs, I can select a ram lamb for you that is unrelated to these ewe lambs that you can use him to breed these ewes. *Picked up at the farm. Price does not include health certificate needed for out-of-state sales. 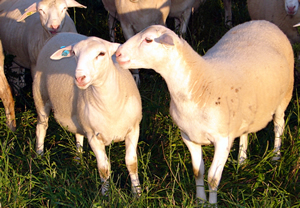 A discount is offered if more than one ram lamb is being purchased and will depend on the number of ram lambs purchased. A few years ago I added a small number of Kiko goats to my flock of sheep. Goats are known to browse more than they graze which makes them excellent for weed control where sheep fail. These goats eat down the vines growing along my woven wire fence and eat down other invasive weeds like Tartarian honeysuckle and Spotted Knapweed. Many goat breeds are less hardy than sheep and therefore add labor to a sheep enterprise. I find these Kiko goats as the hardiest goat breed I have encountered and yet the easiest going breed that fits in with sheep. But make no mistake, a goat is still a goat. If you have a hole in the fence, a goat will find it.